We are engaged in offering PP Laminated Woven Fabrics in industry that are used in different industry applications. These fabrics are used to wrap yarn cones, steel coils, tires and many of the other industrial products. These also find their application in covering trucks, tempos, aircraft, railway wagons, trailer trucks, storage of industrial machines (Without shed in open), and agriculture products. These are known for their excellent strength and inner layers that treat UV stabilizers. 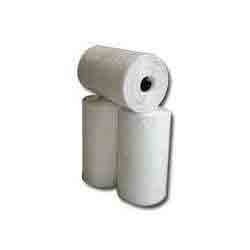 Owing to their roll form availability, these fabrics are used in stitching and cutting machines.